While much of Mallorca closes down over the winter season, it is still a wonderful time to enjoy the cosy atmosphere of the restaurants that do remain open all year. Enjoy a romantic candlelit dinner or a hearty traditional meal and you’ll soon warm up! Here’s the abcMallorca guide to the best restaurants on the island – be it seafront, city, or countryside – where you can enjoy a meal over the winter months. Bon profit! 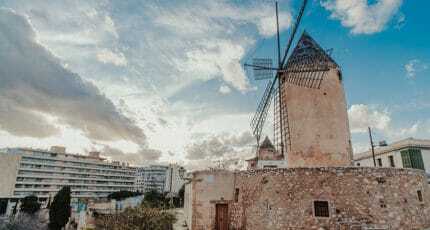 An idyllic getaway in winter, Palma has a great choice of restaurants. From the trendy fishermen’s neighbourhood of Santa Catalina, the narrow streets of La Lonja, the lively old-town of Palma to the sea fronts of Paseo Maritimo, Portixol and Playa de Palma there’s something for everyone. Treat your taste buds to the street food fusions at Naan, with Vietnamese, Korean and South American influences, or try contemporary Cuban at La Perla de la Habana. You’ll also find fusion cuisine at our favourites Nuru, Vandal and Sa Fulla. For a flavoursome Indian tasting menu, head to Basmati. Stylish Amaya offers an international menu, while Cambusa Gusto Italiano will satisfy those craving a good Italian and for great pizza Il Tano really delivers. La Fabrique offers tapas with a Parisian twist, while Hostal Cuba Restaurant is a popular landmark with locals. This area is famous for its lively nightlife – full of restaurants, bars, cafes and clubs. Tuck into tapas at La Paloma or a juicy steak at Chez Camille or perhaps a paella at El Pesquero. Don’t miss the cosmopolitan Purohotel Palma Bar & Restaurant (Puro Hotel). For authentic Italian cuisine head to Ritzi Palma or at Hotel Tres expect a menu with a Scandinavian twist. And one of the area’s most recent openings, for authentic French cuisine head to the Restaurant Can Marques, part of the Palacio Can Marques five-star hotel. 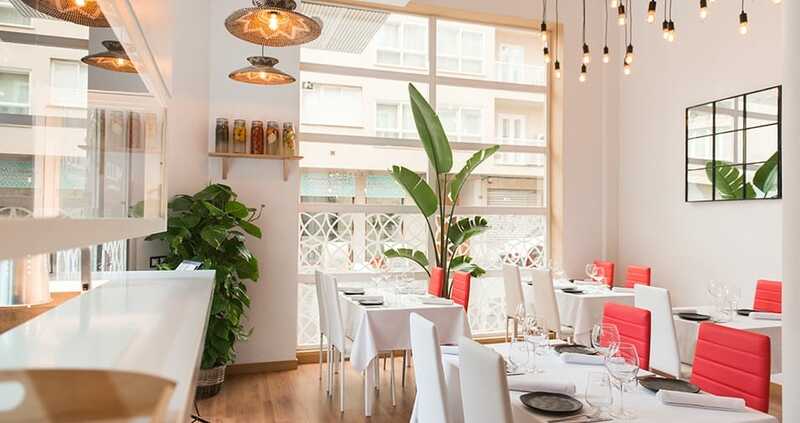 For top-quality Asian and fusion dishes, visit De Tokio a Lima (in Can Alomar Luxury Boutique Hotel), the snug Canela restaurant on Sant Jaume, or for some Mediterranean-Asian flavours try Fera Restaurant & Bar. Mouthwatering Mediterranean flavours are on offer at Can Cera Gastro Bar, La Despensa del Baron at Posada Terra Santa Hotel, Cort Restaurant, Cuit at Nakar Hotel, and Quadrat at the luxury Hotel Sant Francesc. On Palma’s Avenidas two excellent options include La Parada and La Mémé. 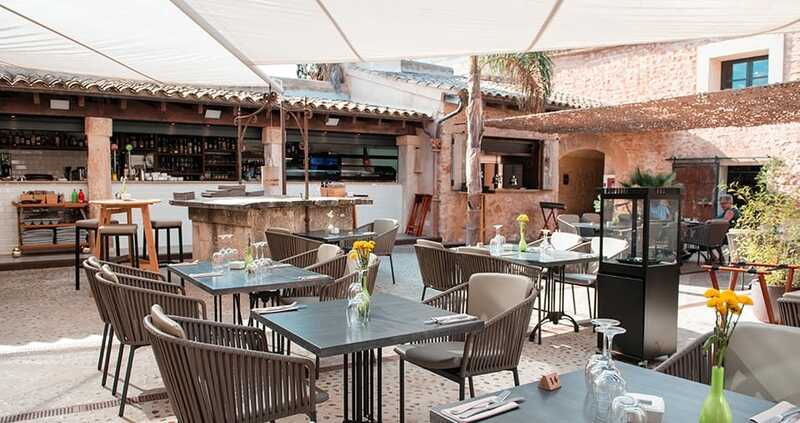 Those who enjoy sharing will love the Fabiola Gastronomic Garden, while on the same street Hotel Glòria de Sant Jaume has the cosy yet elegant El Patio de Glòria. Experimental haute cuisine can be found at Bala Roja in El Princep hotel. Clandesti Taller Gastonòmic has a surprising tasting menu and Michelin star dining awaits at the Marc Fosh and Adrian Quetglas restaurants. 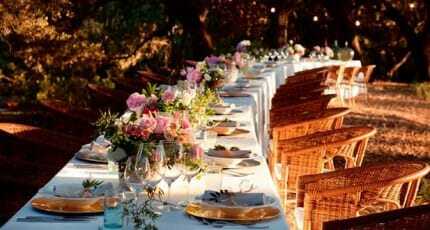 If being beside the sea is a priority, dine along Palma’s harbour, Portixol or Playa de Palma. Overlooking the marina, Ikatza specialises in Basque cuisine and just next door Bahía Mediterráneo offers distinguished fine dining; marina-front C’an Eduardo, Mar de Nudos and Arallo will also all delight seafood lovers. In Playa de Palma we recommend Katagi Blau, with a rooftop terrace in the five-star Hotel Llaut Palace. In the other direction and also on the seafront, Muelle 327 Gastrodock offers family-friendly Mediterranean fare in Cala Nova, while the stunning Maricel Hotel in Cas Catalá offers their award winning ‘Best Breakfast in the world’ experience. With the exclusive ports of Port Andratx, Puerto Portals and Port Adriano, the southwest of Mallorca has its fair share of swanky restaurants. 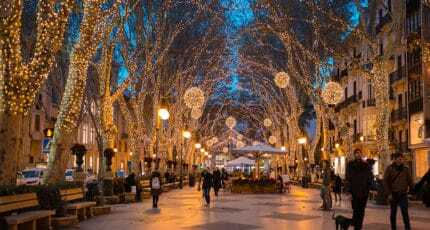 In Port d’Andratx celebrate with a traditional Christmas lunch at Hotel Villa Italia or eat out at Trespais, which merges the Italian, German and Austrian influence of its owners. In Puerto Portals, head to Ritzi for Italian or Baiben for top-quality Mediterranean and Latin fusion, Mahal Tandoori for Indian, and Lucy Wang for creative Japanese cuisine. 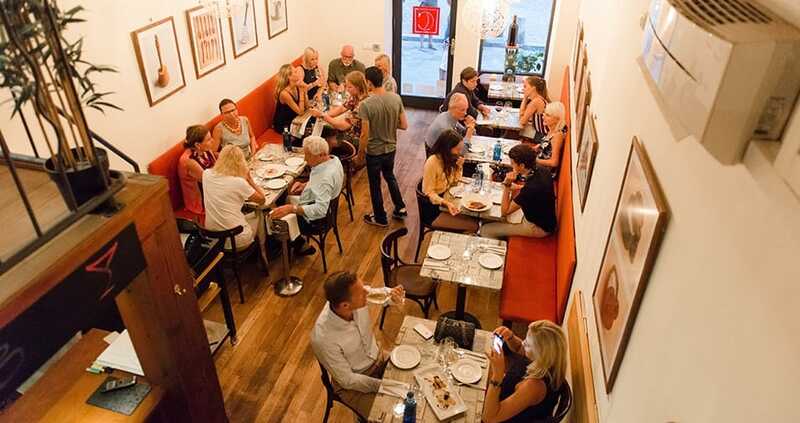 Bruno’s stands out in Port Adriano and Tan a Gustito Tapas in Magaluf is ideal for sharing. 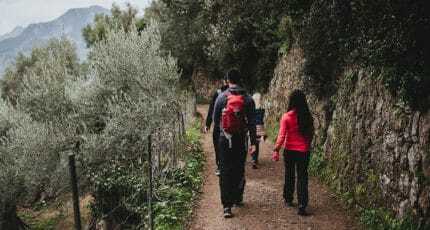 The centre of the island offers an authentic local food experience in small traditional restaurants in picturesque towns like Santa Marià, Lloseta and Selva. You’ll find some of the most talented chefs here. Many of the sleepy towns in central Mallorca only come to life on their market days. Sineu transforms on a Wednesday, its narrows streets spilling over with fresh produce and artisanal goods. North of Sineu is the small town of Mancor de la Vall where we recommend lunch at Maria Salinas Restaurant. Friendly Maria is passionate about local produce and her affordable three-course menu is rich with flavours from the island. This region offers hotel restaurants open to the public, lovely eateries at the beach and others in the beautiful mountains. 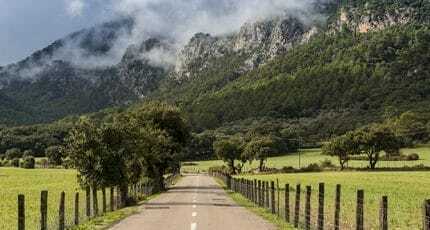 Alcúdia, Pollensa and Sóller are some of the most visited towns in the north and with good reason. 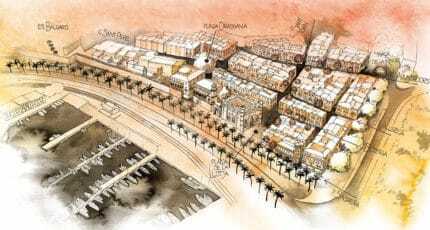 While their ports are the main attraction in summer, in winter its the inland towns which hold more appeal. 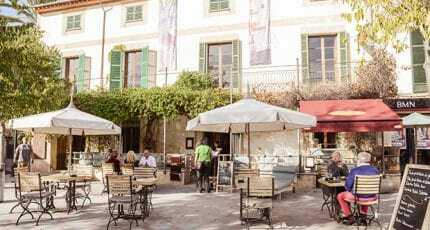 La Vila restaurant has made a name for itself in noble cuisine in Sóller. Seaside views can be enjoyed in the popular resorts of Porto Colom, Porto Cristo and Cala d’Or. You might not fancy an icy swim before lunch, but the spectacular caves, Coves del Drach, has four visiting times during winter and well-worth a tour. The trendy water-front Restaurant Quince in Porto Cristo (closed from Jan – March) is very popular. Restaurant HPC serves contemporary Spanish cuisine with views of the port, ideal for lunch or enjoy a romantic dinner at Colon and offering high-class Mediterranean cuisine with a German influence. Away from the sea, the beautiful Sa Creu Nova adults-only hotel in Campos offers two top restaurants Tess del Mar and Kairiku Japanese restaurant. 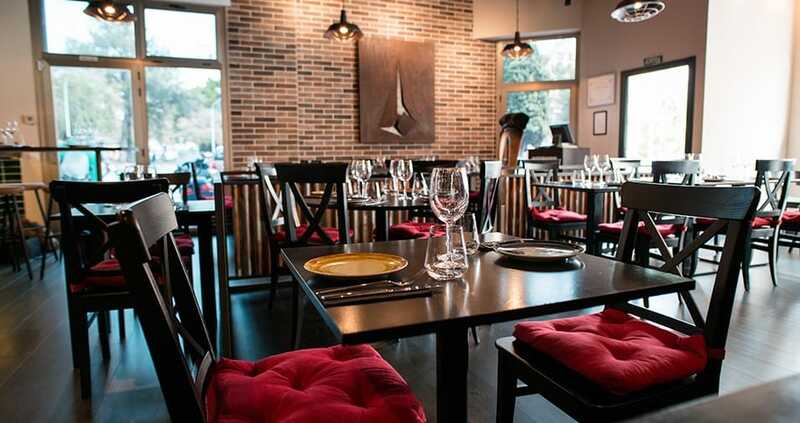 Also in Campos you will find Ca’n Calent, modern Mallorcan cuisine. 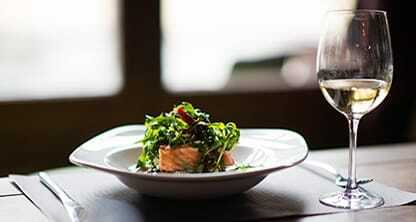 In Santanyi enjoy a special experience at East 26 where art, decor and delicious food combine beautifully. 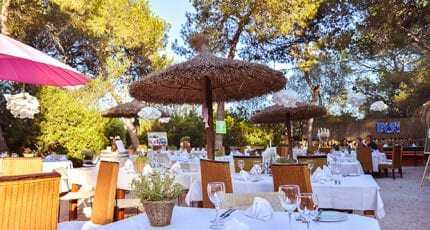 We hope this list of recommended restaurants has given you an insight into the fabulous gastronomic choices available and a fresh reason to visit Mallorca during the cooler months of the year! 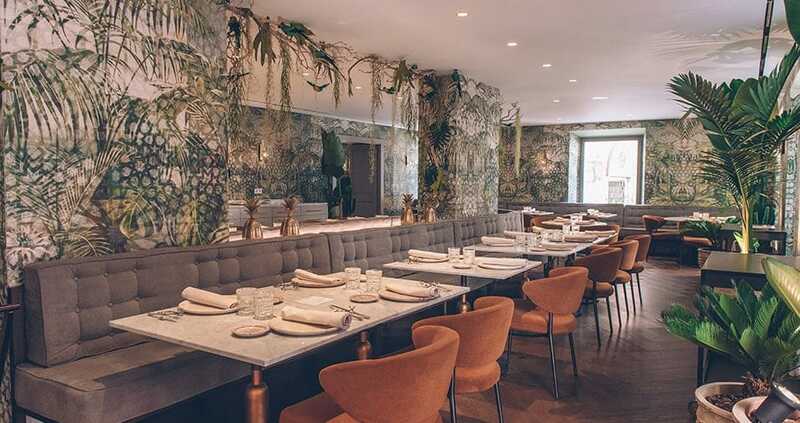 We hope you have found this article about Restaurants open in Winter useful and that you have many memorable meals as a result of our recommendations. 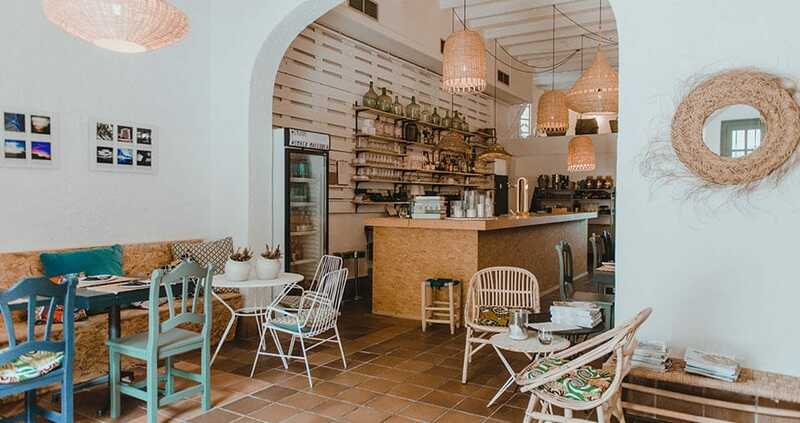 We hope you have found this article about the Restaurants open during winter 2018/19 useful and that you have many memorable stays in Mallorca as a result of our recommendations.